A spring powered version of the famous M11 submachine gun. 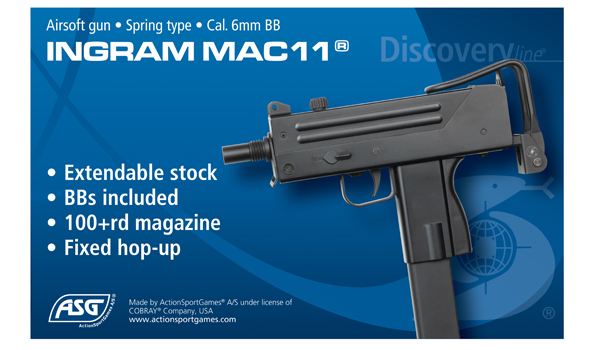 This Airsoft gun is fully licensed by Cobray and features authentic markings. 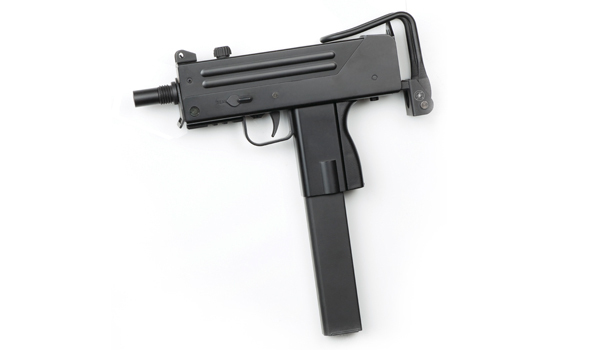 It has a safety catch, retractable metal shoulder stock and easy access charging handle. Also there is a fixed hop-up. Included is a 112 rd. hi-cap magazine.